When a stressor is perceived, the human body adjusts by having its autonomic nervous systeminitiate changes in muscle tension, heart rate, blood blow, brainwave patterns, and other neurochemical responses. While such a response can be helpful in the short run, chronic adjustments like this can be hard on the body producing secondary unwanted symptoms. The relaxation response is a method of calming the body’s physiological response to stress. It is a learned behavioral strategy where through skill and practice, the individual takes conscious control over his/her own body’s physiological response to stressors. There are a number of methods for teaching the relaxation response including progressive muscle relaxation, visual imagery, and mindfulness meditation. Biofeedback modalities support the learning of the relaxation response through the use of electrodes placed over muscles (e.g. EMG-assisted relaxation) which then provides immediate feedback to individuals regarding the success of their attempts to alter muscle tension. Related biofeedback techniques can be used to monitor bloodflow and sweating responses (i.e. other indicators of physiological arousal). In multi-component CBT for chronic headache, cognitive coping skills for pain are taught in addition to the relaxation response so as to provide the individual several skills for managing headache pain. The combination of cognitive therapy with the relaxation response has been shown to produce more headache relief than relaxation alone for tension headache. For vascular headache (e.g migraine) the value of adding the cognitive therapy to the relaxation response is less clear. Holroyd, KA, Nash, JM, Pingel, JD, Cordingley, GE, & Jerome, A. (1991). A comparison of pharmacological (amitriptyline HCL) and nonpharmacological (cognitive-behavioral) therapies for chronic tension headaches. Journal of Consulting and Clinical Psychology, 59, 387-393. Blanchard, EB, Appelbaum, KA, Radnitz, CL, Michultka, DM, Morrill, B, Kirsch, C., Hillhouse, J, Evans, DD, Guarnieri, P, Attanasio, V, Andraski, F, Jaccard, J, & Dentinger, MP (1990). A placebo-controlled evaluation of abbreviated progressive muscle relaxation and relaxation combined with cognitive therapy in the treatment of tension headache. Journal of Consulting and Clinical Psychology, 58, 210-215. Blanchard, EB, Appelbaum, KA, Radnitz, CL, Morrill, B, Michultka, D., Kirsch, C., Guarnieri, P, Hillhouse, J, Evans, DD, Jaccard, J, & Barron, KD (1990). A controlled evaluation of thermal biofeedback and thermal biofeedback combined with cognitive therapy in the treatment of vascular headache. Journal of Consulting and Clinical Psychology, 58, 216-224. Holroyd, KA, Andrasik, F., & Westbrook, T. (1977). Cognitive control of tension headache. 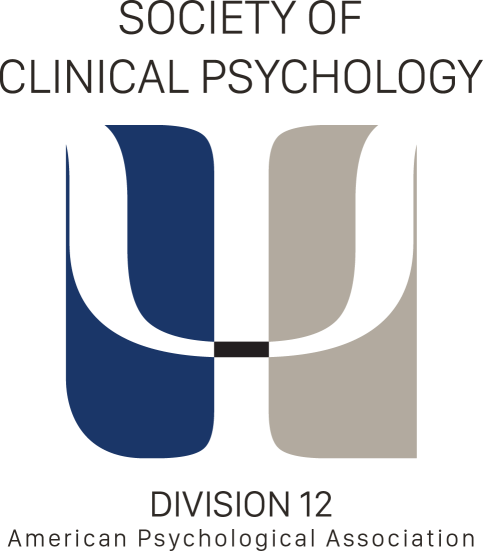 Cognitive Therapy and Research, 1, 121-133. Blanchard, E.B., & Andrasik, F. (1985). Management of chronic headache: A psychological approach. Elmsford, NY: Pergamon Press. Holroyd, KA, Penzien, DB, Hursey, KG, Tobin DL, Rogers, L, Holm, JE, Marcille, PJ, Hall, JR, Chila, AG (1984). Change mechanisms in EMG biofeedback training: Cognitive changes underlying improvements in tension headache. Journal of Consulting and Clinical Psychology, 52, 1039-1053. Holroyd, KA, & Andrasik, F. (1982). A cognitive-behavioral approach to recurrent tension and migraine headaches. In P.E. Kendall (Ed. ), advances in cognitive-behavioral research and therapy, (Vol.1, pp275-320), New York: Academic Press. Formal training in CBT and biofeedback for chronic headaches has been available through workshops held at the American Pain Society and the International Association for the Study of Pain. Note: Self-management approaches to headaches should be considered only in consultation with your primary health care provider where an accurate diagnosis and discussion of various treatment options can be completed. Feel free to print this information and take it with you to discuss your treatment plan with your health care provider.